Want your own, custom-made piece? Commissions can take many forms, from using a family heirloom to recreating an entire family in Bitty Bot form. 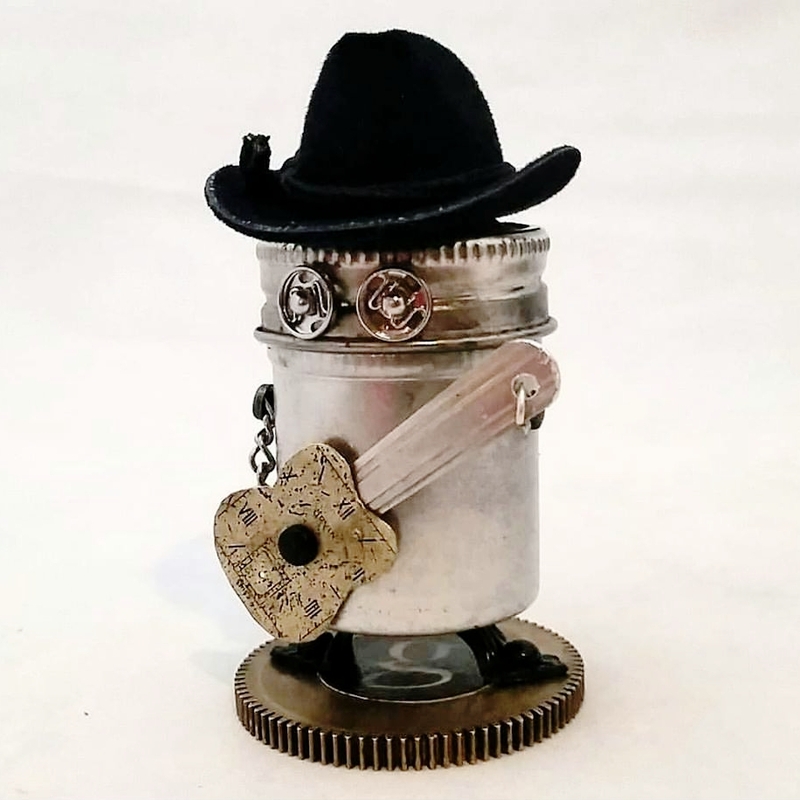 Most often, a Custom Order begins with a general request: "Could you make my friend a robot for her birthday? She loves the Scarecrow from Wizard of Oz." From there, we talk about size, budget, and initial ideas. The result? A completely one-of-a-kind piece of robot art. If you have a project in mind or want to discuss possibilities, I love designing commissioned pieces. Contact me, and let's create something incredible together!